In the past two decades, the economy has loomed so large that it is dictating some of the terms of foreign policy or influencing the outcome of debates that involve economic interest. Th ere has always been a discrepancy between stated foreign policy and specific economic interests. In the early 1950s, because the young People’s Republic of China needed natural rubber, it bought it from the very Southeast Asian countries where it was simultaneously fomenting an insurrectional Communist Party, which was most active among the workers of rubber plantations. In the early 1970s, China’s continued need for copper dictated a very fast turnaround from Chile’s Allende government to the Pinochet junta. (Even today, China turns a cold shoulder to exponents of the nationalization of mining resources in Latin America, because of its own involvement.) Lack of trust among the world’s leading socialist countries once meant that the currency of choice in China-USSR trade was likely to be the Swiss franc. François Godement is a senior policy fellow at the European Council on Foreign Relations, professor of political science at Sciences Po, and the director of strategy at the Asia Centre in Paris, France. 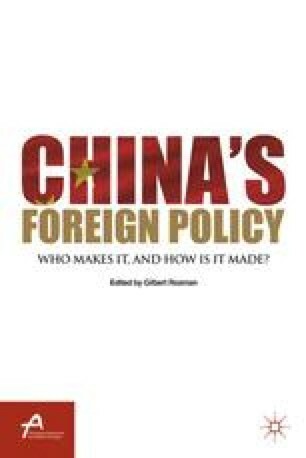 Professor Godement is a regular editor of China Analysis. He is also an outside consultant to the Policy Planning staff of the French Ministry of Foreign Affairs. He has served as a consultant to the OECD, the European Union, and the World Bank. He specializes in Chinese and East Asian strategic and international affairs, Chinese Foreign Policy, and China-EU relations. His recent publications include “China: the Scramble for Europe” (European Council on Foreign Relations, July 2011) and “Europe’s Relations with China: Lost in Flight?” (Transatlantic Academy Paper Series, May 2011). He is a graduate of the École Normale Supérieure de la rue d’Ulm in Paris, where he majored in history, and holds a Ph.D. in contemporary history from Harvard University.